The Economist Intelligence Unit recently put out its new Country Report for Pakistan, and despite criticism of the state of the economy, the report does not predict fair tidings for opposition political parties come July. The EIU predicts that risks to political stability will remain high in the run-up to the elections. 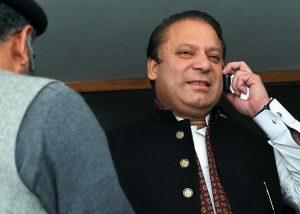 “We expect the PML-N (Pakistan Muslim League-Nawaz) to be reelected on the back of a strong showing in Punjab, the most populous province,” the report says. Meanwhile, on the economic front, “A widening current account deficit and persistent budget shortfalls pose the biggest risks to macroeconomic stability in 2018-22,” which would be the term of the next government. The EIU also does not expect the ongoing political upheaval to sort itself out anytime soon. It “expects the outlook for political stability to remain poor in 2018-22,” citing disputes between the major players and parties that will intensify ahead of the election, and continue well after. The report also predicts that the next prime minister of Pakistan will be Shehbaz Sharif, although “Nawaz Sharif will remain influential in the party”. These projects would include China-Pakistan Economic Corridor related works and numerous other projects. Real GDP, on an expenditure basis, will expand by an annual average rate of 5.4 per cent per year until 2022, according to the EIU report. “Growth will be underpinned by increases in consumption and the improved performance of exports relative to imports,” it explains. It also says that large deficits on the fiscal and current accounts will pose major risks to macroeconomic stability throughout the 2018-22 period. Meanwhile, the current account deficit is expected to average the equivalent of 3.1 per cent of GDP over the same period.